Unique business broker franchise license opportunities. Lucrative areas available throughout South Africa. Unique business broker franchise license opportunities. Lucrative areas available throughout South Africa. Full training provided to further your career as a business broker or expand your existing business to offer broker related services. 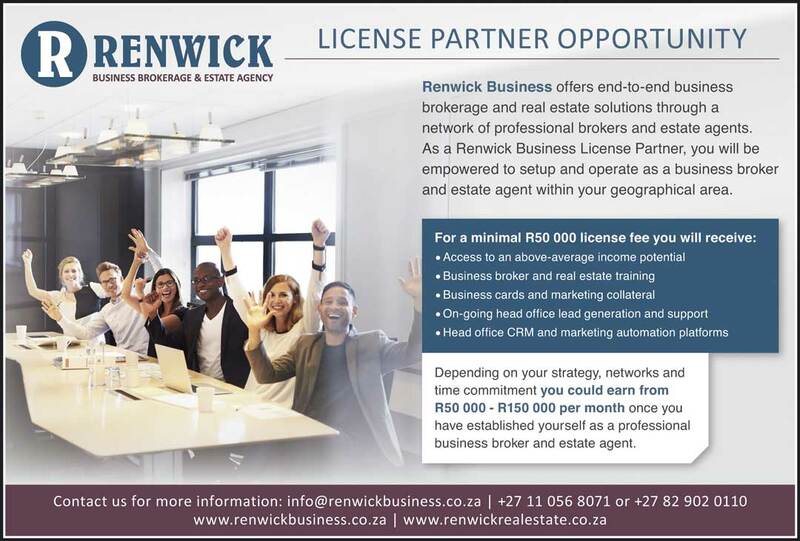 Join our network of professional business brokers, access market opportunities and benefit from head office support, proven methodologies and trade secrets. For more info, please fill in the form below.